This original wall clock entirely made of glass does have a retro air that will perfectly match your design interior. Its star shaped black lines pattern is almost hypnotic, the hours will go by unnoticed. 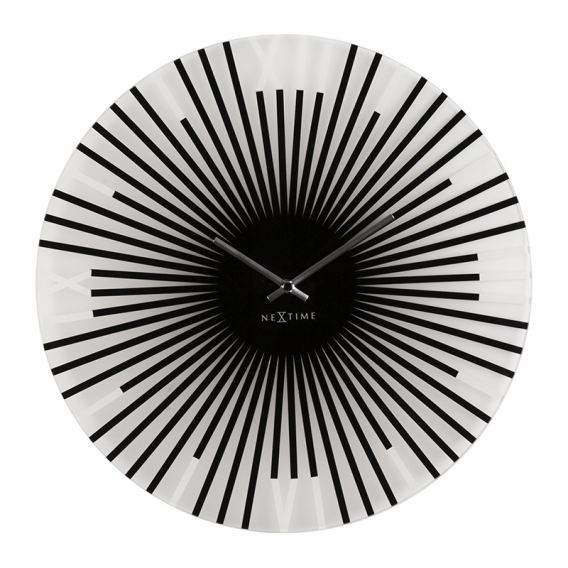 The dimensions of this retro wall clock are 43 cm in diameter. 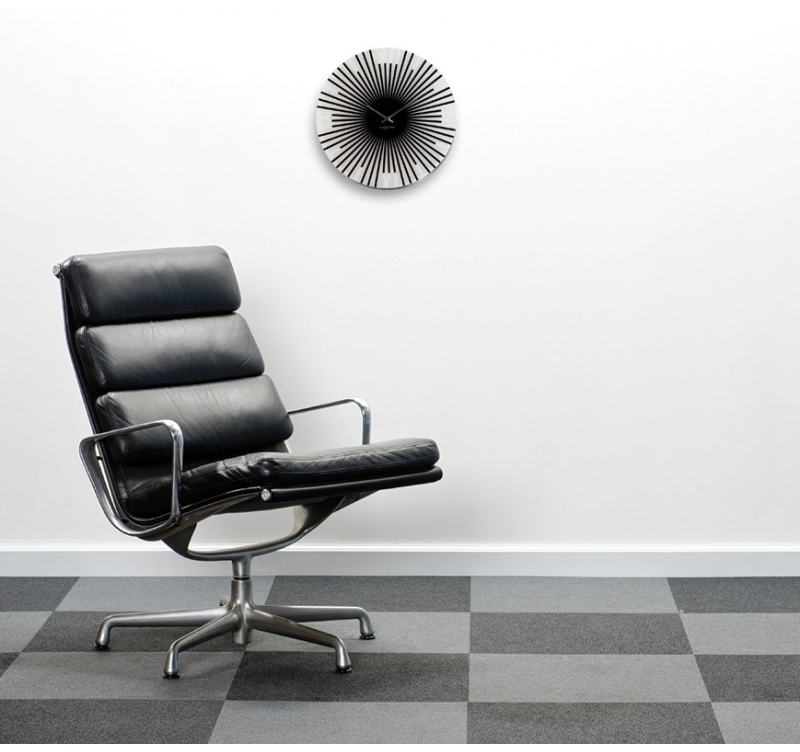 Free 48/72 h delivery in metropolitan France and Belgium for your vintage wall clock. The generous dimensions of this surprising wall clock make it a beautiful decorative object that will enhance your lounge. The large white dull glass face has star shaped black lines. The movement of the wall clock is hidden by the totally opaque glass centre. The brushed metal hands reflect the ambient light of your interior. The quarter of hours are marked by very discreet white Roman figures that extend the black lines of the vintage wall clock. 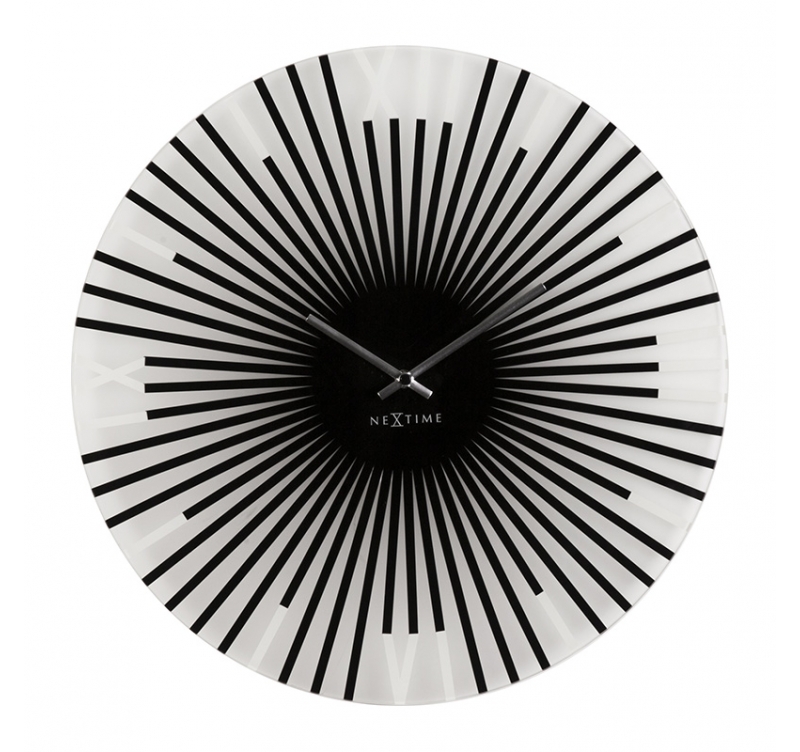 This original wall clock is made to decorate your living room.